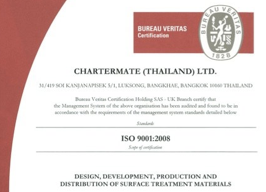 For more than 20 years, Chartermate group has worked toward achieving sustainable development. Sustainability is part of our gene now. We extend our Corporate Social Responsibility through our brands our products and the technologies we offer, this has helped us to build an excellent reputation and attain leading market positions. We support climate-environment protection, resource conservation, and social progress. We are convinced that our continued focus on sustainability will help grow the long-term value of what we are offering to society as a whole.